This design was part of the original series of forty-eight designs completed by October 1931 but is not currently known from later printings. There is an overall pale green bokashi background with more color at the bottom. 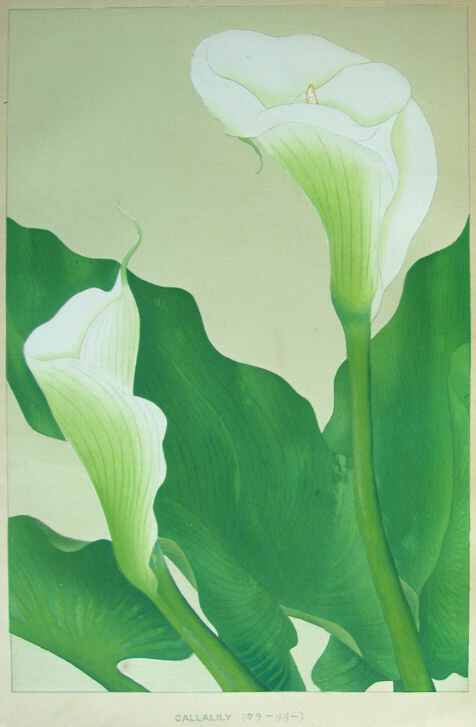 Calla, Calla Lily, and Arum Lily are names derived from names of plants in related genera. Properly today, the white calla lily illustrated here is called Zantedeschia aethiopica, a native of southern Africa but now widely naturalized.